This newer cabin allows you to experience nature with all the comforts of home. 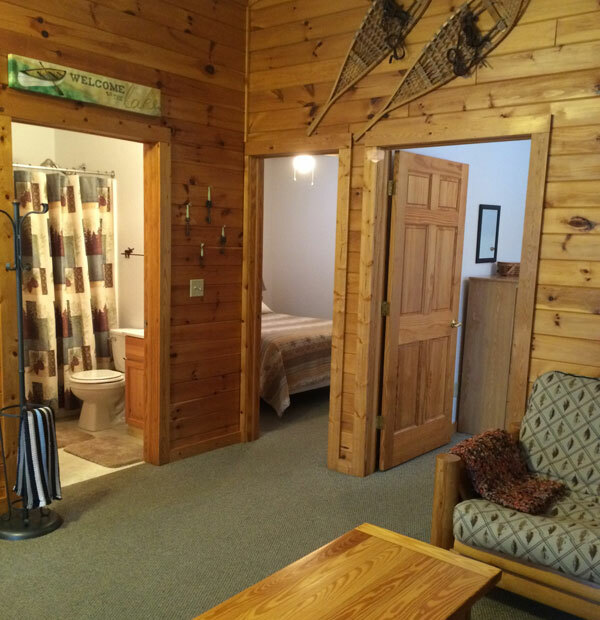 The authentic north woods décor and knotty pine interior complement the breathtaking views of Bear Island Lake. 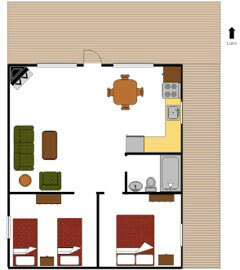 The kitchen area includes an electric stove, fridge, dishwasher and microwave. It’s stocked with cookware, cooking utensils, dishes, silverware, coffee maker, crock pot and air popcorn popper. The bathroom has a 6-foot jetted bath, plus a shower. 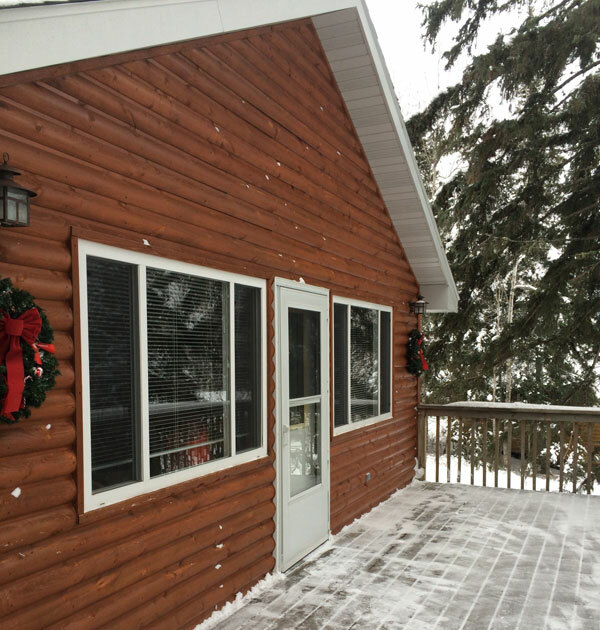 Outdoor amenities include a huge lakeview deck that wraps the front of the cabin, deck chairs, picnic table, charcoal grill and a campfire spot. The beach and playground are both nearby. Bird watchers may want to bring along a package of thistle seed or black sunflower seeds for the song birds that visit this cabin's bird feeder.